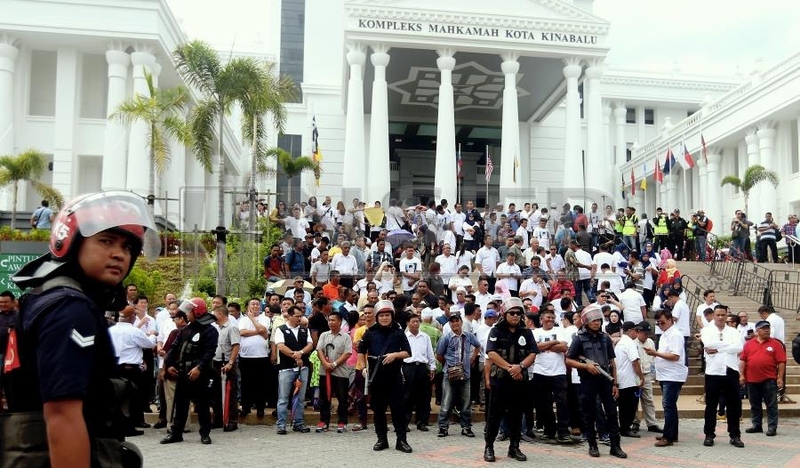 KOTA KINABALU: The Kota Kinabalu High Court granted full access to journalists covering Wednesday's ruling on the dispute over the Sabah chief ministership. Elsie Primus, deputy registrar in charge of the administration of the High Court, clarified that she had instructed the court officers to allow all journalists into the courtroom. She said this in response to previous news reports claiming that only 10 entry passes were allocated for the media. “On Wednesday, a journalist contacted me (over the limited number of passes for media) and I took note of the matter. "I had immediately instructed my officers to let the media in even if it meant they had to stand,” she told the NSTP when contacted today. The High Court proceeding on Nov 7 was conducted in the Federal Court as its space was bigger and could accommodate 50 people. The NSTP previously reported that journalists representing local and national media expressed unhappiness over the limited number of passes. Elsie clarified that the court initially allocated 10 passes for media representatives, 15 passes each for the opposition and government representatives, and 10 passes for councillors due to the limited space in court. “Nevertheless, we allowed all media representatives to enter (the courtroom) and after the proceeding, the summary of the judgement was immediately distributed to journalists,” she added. The Kota Kinabalu High Court on Wednesday dismissed Tan Sri Musa Aman's originating summons to seek a declaration that he is the rightful chief minister of Sabah according to the state constitution. With this much anticipated ruling, Datuk Seri Mohd Shafie Apdal remains as the legitimate chief minister of Sabah.